Human Electric, 2017. 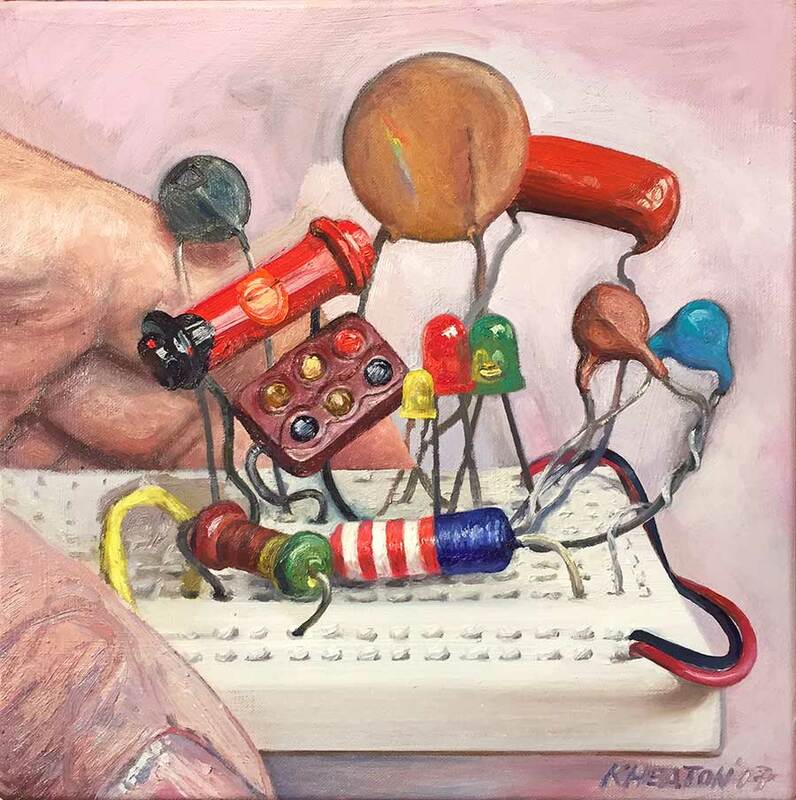 Oil on canvas, 14" x 14"
As many of you know, I have been obsessed with electronics for decades. Electricity is amazing in its natural form: it is literally the spark of life. Electricity is amazing as a human tool: arguably the most important invention since fire, and possibly the catalyst for a new species of human being. Here, I paint a still-life with vintage electronic components arranged in what is called a "breadboard" : a plug-and-play platform for engineers to design circuits. My components are arranged for purely aesthetic reasons... and aren't they beautiful? I love their human qualities. That's my hand holding the breadboard - with paint on it, of course.